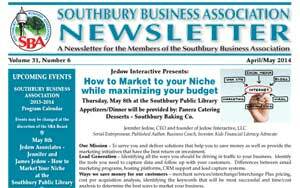 The SBA Newsletter can be found here so that members may have the convenience of having a version for sharing with customers and friends. Each newsletter will be stored here on the website, so visit this page frequently and get our up to date news and information! Depending on how your computer is set up, when you click the link below it should open up the newsletter in Adobe Acrobat or other pdf viewing software available. Or, the pdf will be downloaded to your computer and you will have to open it using the software you normally use.